UBOS HOUSE – The education and sports ministry on Thursday afternoon the Uganda certificate of education results. Results indicate that boys bested their female counterparts at all the higher grades in the 2018 UCE exams. According to results, boys performed better than their female counterparts with 10.2% of the boys passed in division one, compared to 6.6% for the girls. 18.1% (boys) passed in division two compared to 13.9% for the girls. The female candidates perfumed better in English language despite being outshined in all other entry subjects. The UNEB Executive Secretary, Dan Odongo reported that there was overall improvement in English, Christian Religious Education and Physics whereas there was also improvement at distinction level for Mathematics and Biology. Odongo said that despite improvement in the English language, the skills of speech writing examined during the 2018 UCE exams proved difficult for majority of the candidates. The results also indicated that candidates continued experiencing problems in handling apparatus during the practical tests as well as marking, recording and drawing conclusions from those observations. “Examiners have reported that the cause of these inadequacies lies in the fact that teachers dont integrate the teaching of the theory and practicals,” the UNEB Executive Secretary Dan Odongo said. The results also indicated that there was an increase in the number of candidates to 330,721 compared to 320119 the previous year in 2017 indicating an increase by 3.2%. According to the results, 27696 candidates passed in division one , 52706 in division two, 70,347 in division three,137058 in division four and 42,334 students failed. The results indicated that the biggest number of students, 137,058(54%) passed in division four. 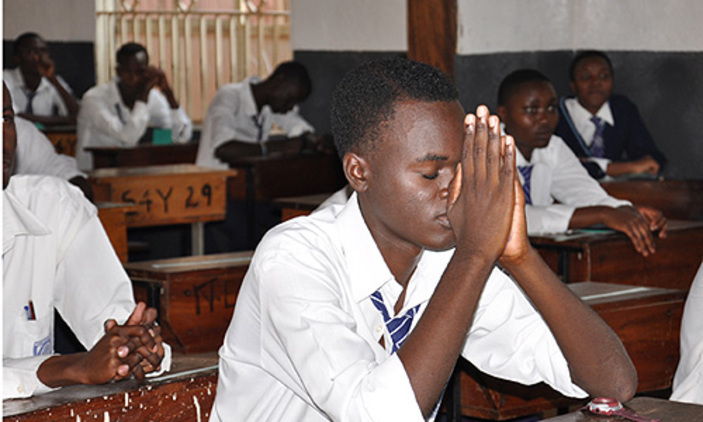 Over 42,334 failed 2018 UCE examinations while results of 1,825 students were withheld over malpractices.